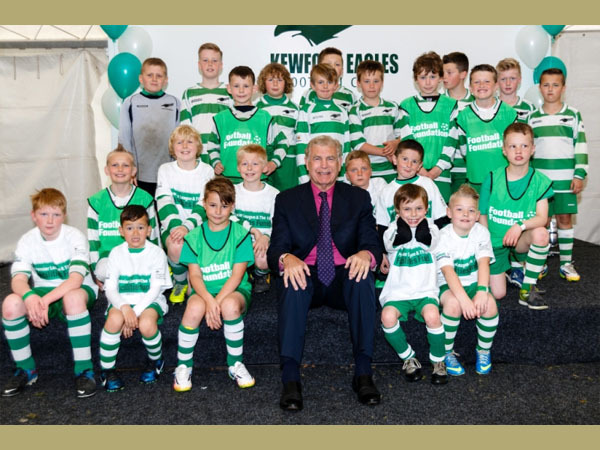 The Club was formed in 1978 with one Under 11s eleven a’side team from a merger of Quarry Bank and Kingswinford Scouts. 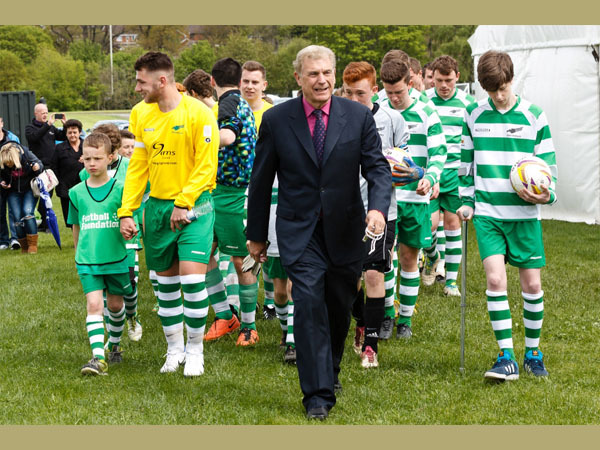 The Club strives to provide local people with a healthy sporting outlet through football, to the benefit of the local community. They are guided by the Football Association of England and Wales. They are also affiliated with the Birmingham County FA. Kewford Eagles FC achieved the first level FA Charter Standard club award in 2003, the Charter Standard Adult Club award in November 2004, and the “pinnacle” Charter Standard Community Club award in February 2005. 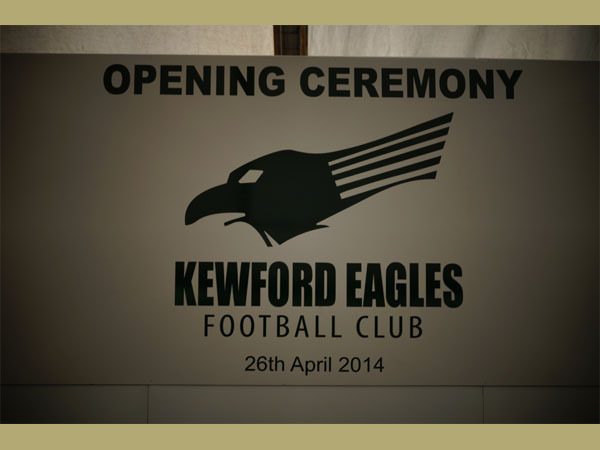 Kewford Eagles opening ceremony. Courtesy of Mark Crook. Kewford Eagles opening match. Courtesy of Mark Crook. 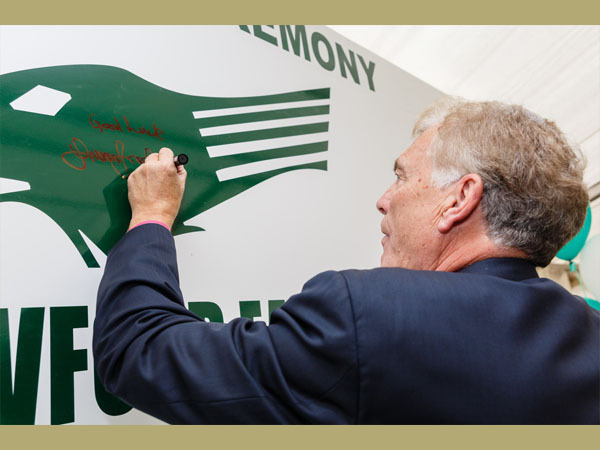 LCF plaque. Courtesy of Mark Crook. 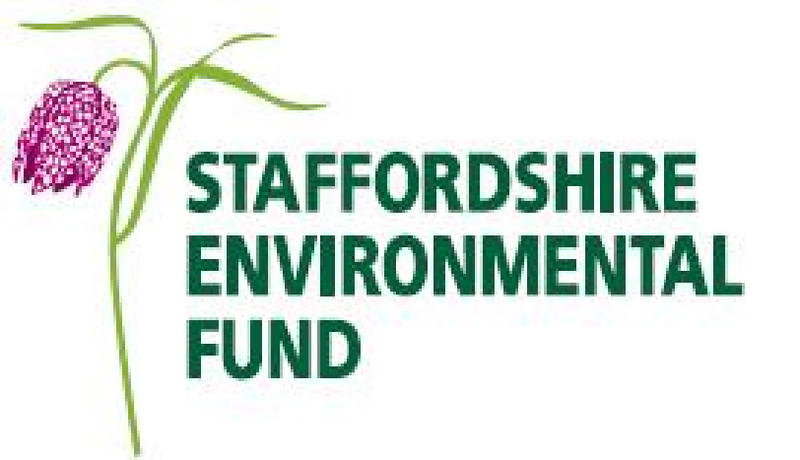 Kewford Eagles FC applied to Staffordshire Environmental Fund (£30,000), Cory Environmental Trust in Britain (£100,000) and Ibstock Cory Environmental Trust (£30,000)for Landfill Communities Fund (LCF) funds to develop 30 acres of land, acquired under a 30 year lease agreement, to create football pitches for use by a well established community football club. 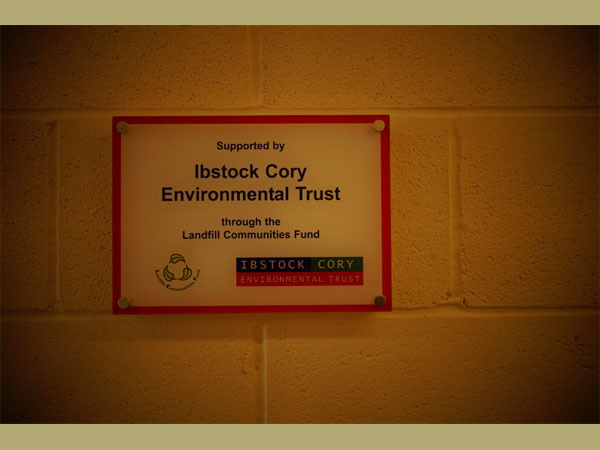 The project aimed to create an area for use by many sportsmen, members and groups of the local community to improve their physical well being. 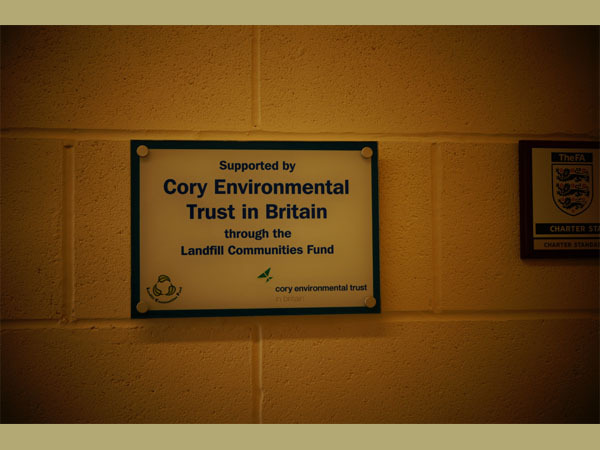 It also aimed to ensure the land would be well maintained improving its appearance and condition. 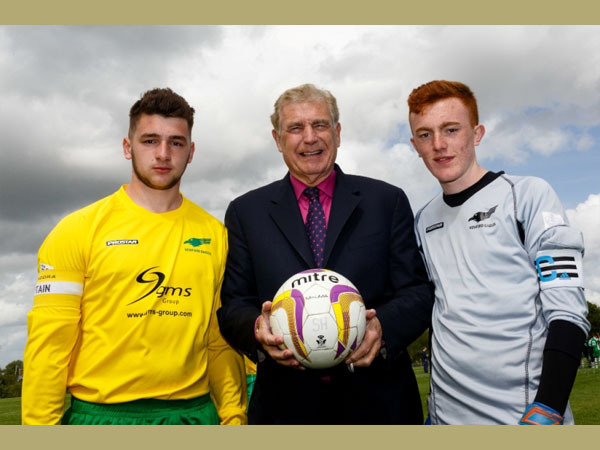 The project delivered 11 new real grass football pitches and a state-of-the-art changing room pavilion The new facility supports 550 youth footballers, including disabled players, local residents who will benefit from the safe and engaging environment provided by the new facilities, and residents from the wider community. 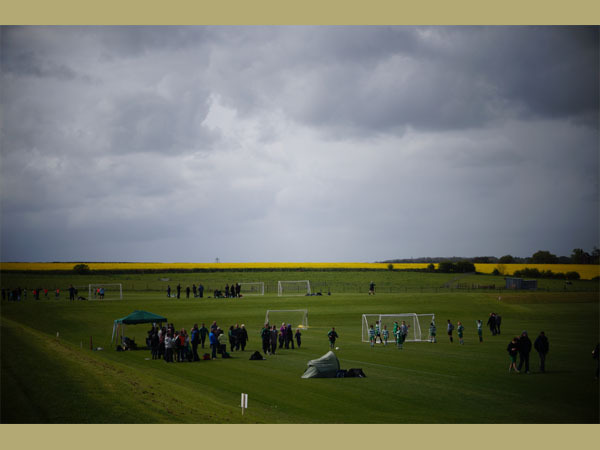 The project cost a total of £1,076,560 with a grant of £800,000 from The Premier League and The FA Facilities Fund, and an additional £50,000 award from Sport England’s Protecting Playing Fields scheme. 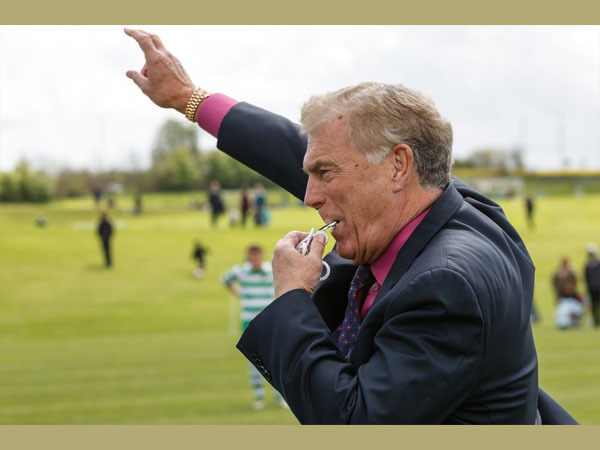 The new football pitches were officially opened on Saturday 26 April 2014 by Sir Trevor Brooking CBE, who blew the whistle to start the first match. 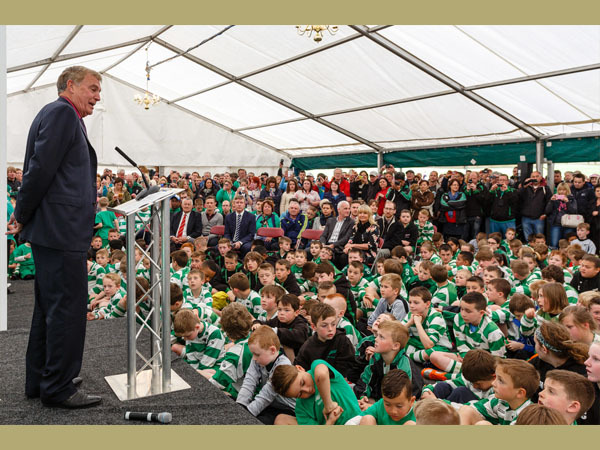 Over 2,000 people attended the opening ceremony and the facility is now a very close second to St Georges Park, the national football centre near Burton-Upon-Trent, in terms of scale and its role within the community.